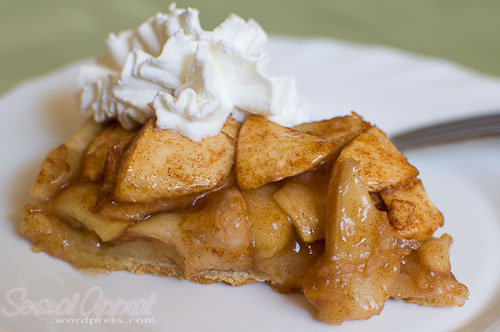 Happy Pi Day with a Pear Apple Tart! 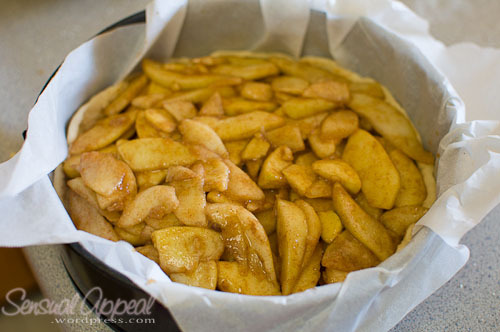 To prepare the crust, in a medium bowl whisk together the whole-wheat flour, all-purpose flour, sugar, and salt. Add the butter using two knives or a pastry cutter, cut the butter into the flour mixture until you get a pebbly course texture. 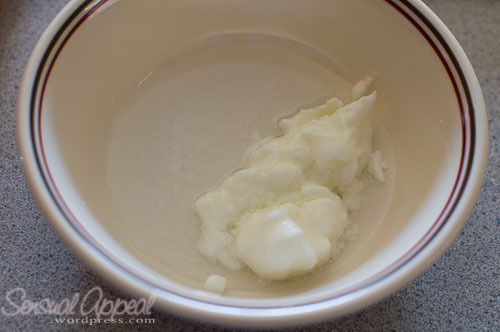 In a small bowl, combine the yogurt and ice water. 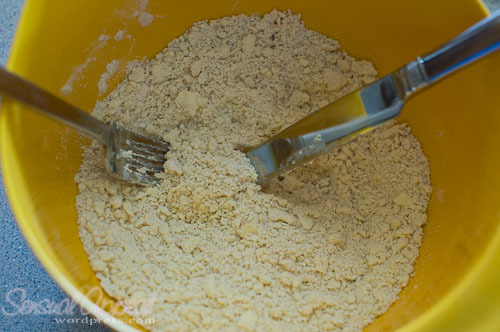 Using a fork, gradually mix the yogurt mixture into the flour mixture. 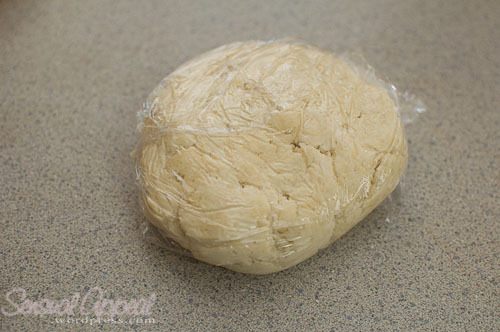 Pat the dough into a ball and slightly flatten, wrap in a plastic wrap and refrigerate for 30 minutes. In the meantime, prepare the filling. 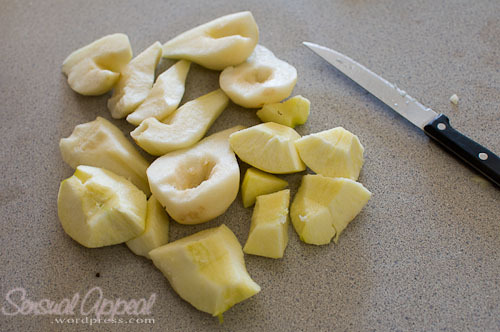 Peel the pears and apples, core them, and cut them into small slices. 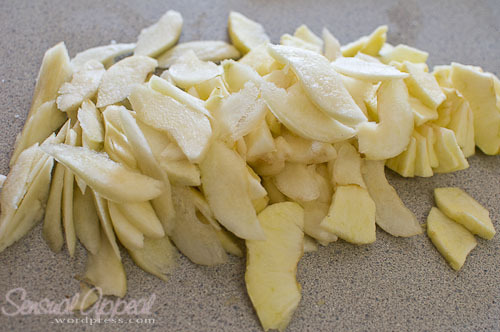 In a large bowl, toss the pear slices with the lemon juice. Sprinkle in the cornstarch or potato flour and toss. 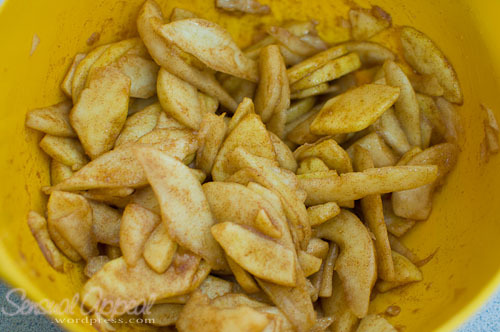 Then sprinkle in brown sugar (make sure it’s not all clumped up together) and cinnamon and toss until the fruit slices are evenly coated. Set aside. Preheat the oven to 425 degrees F. Normally, recipes call for preheating earlier and if that’s what you like to do, fine. I, however, am cautious of wasting energy and gas and every time I preheat the oven when the recipe calls for it, it ends up sitting there for a good 10 minutes preheated and ready. I prefer to preheat later and wait if anything. I don’t like being a waster. Anyways, now is the time to get back to the crust. 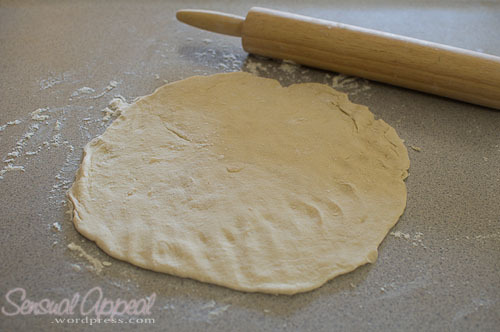 On a floured surface, roll the chilled dough into a large circle. The dough is likely to be pretty wet and I ended up putting a bunch of flour on it to make it a better texture. You have to make sure the dough is not wet before you roll otherwise it will stick. 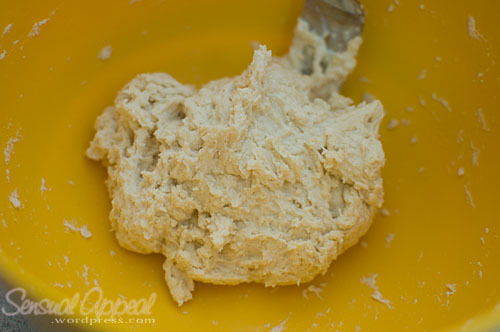 Add flour as necessary to make the right dough consistency and texture. 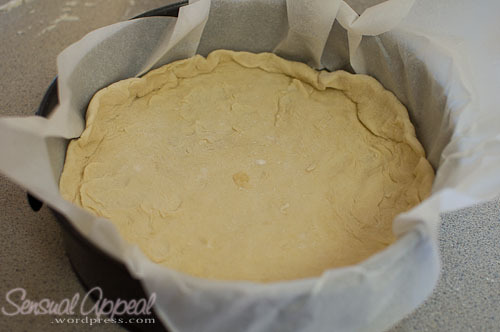 Line the baking sheet with parchment paper and draping the dough over with a rolling pin, transfer to the prepared baking sheet. If the dough breaks, patch it up with your fingers. Arrange the fruit slices in a mound in the center of the dough. Fold the border over the filling if you can. For mine, I simply put the dough so it forms actual sides, there was no dough coming over the top of the slices. It’s up to your preference how you want it to be. I don’t have an actual pie sheet so I just used a round cake baking sheet. Bake the tart for 15 minutes. 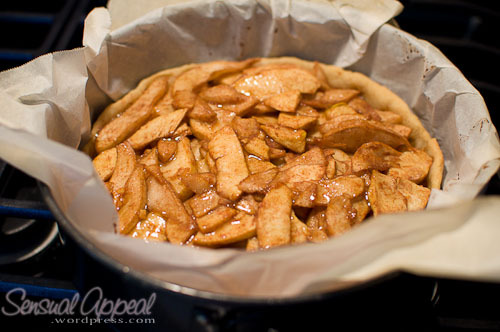 Then, reduce the oven temperature to 350 degrees F, keeping the tart in the oven the whole time, and bake for another 40 minutes, until the fruit slices are tender and the crust is golden brown. In a small bowl stir together the honey and boiling water to make the glaze. 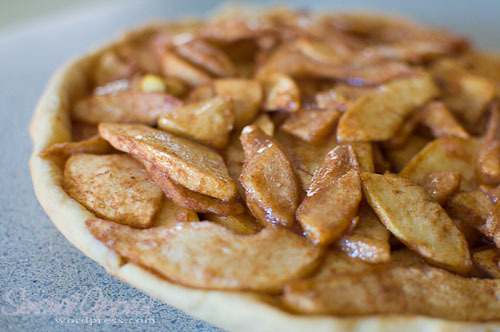 When the tart is done, remove it from the oven and brush the honey glaze all over the top of the fruit and crust. Transfer to a plate to cool slightly. Serve warm or at room temperature. You can put some whipped cream on top for a little extra fun. Yay for my first ever tart! Don’t be too hard on me. I’m a novice. But you know, if I can do it, means anyone can! I’d like to hear some feedback also. Too many pictures? I’m a photographer so I love taking pics but if there’s too many, I’d want to know too! Do you prefer apples or pears? 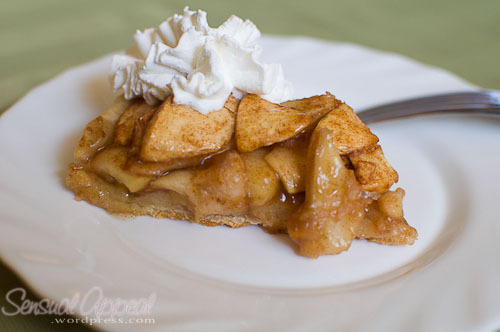 What’s your favorite pie to have on Pi Day?